During my time at Brown as a student of international relations and the Middle East, a key lesson I learned about conflict resolution is that, without communication, there can be no progress toward resolution. 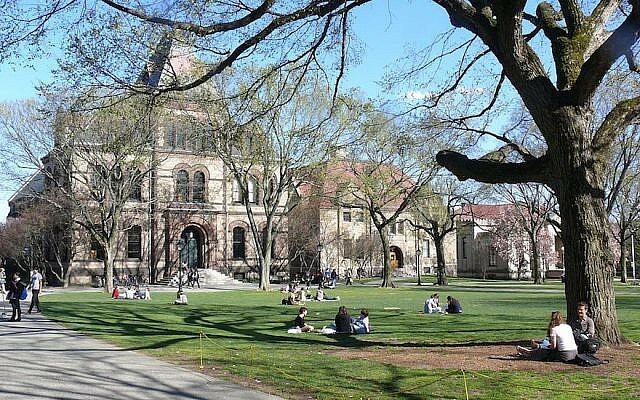 Last week, the student body at Brown passed a resolution in support of BDS by a disturbingly high margin. Students voted for unilateral, partisan action whose express intent and result would be to stymie communication and any chance of conflict resolution. My disappointment in my beloved alma mater is profound, and my concern for its current Jewish student population sincere. 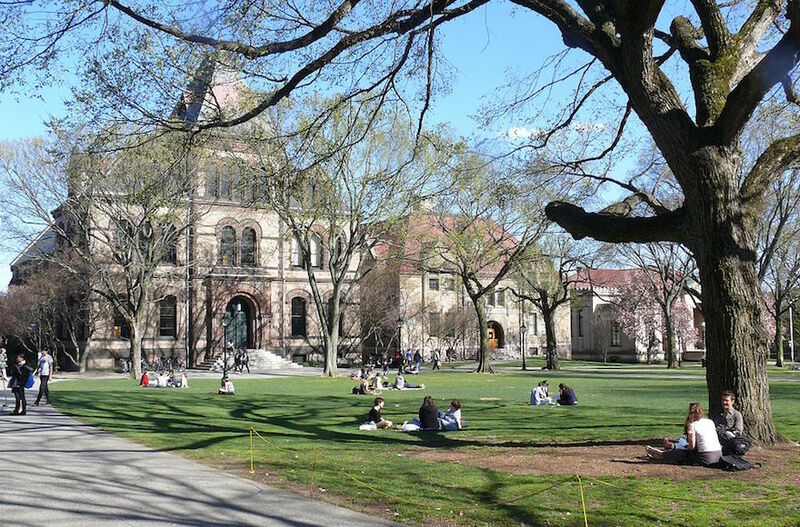 The Brown University of my time was a haven for free expression of ideas. Brown stands out in my memory as an open academic environment where professors and students actively fostered the exchange and debate of diverse and conflicting opinions in a constructive, inclusive manner. After I demonstrated a personal, keen interest in the Middle East in an introductory history course, I found myself pulled into the inner circle of Professor Engin Akarli who encouraged me to join in his seminars where he actively sought to incorporate a wide array of voices to engender discussion and debate. He wanted every voice represented because how better to reach understanding? Those discussions were not always easy, but they were civil and productive. 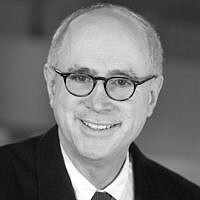 His style of academia — both instructive and constructive — is how I recall my time at Brown. Brown was the type of academic environment that spawned the Brown-Wesleyan Israel-Palestinian Studies Program in the late 1990s. This interdisciplinary study abroad program in Jerusalem introduced a diverse group of students to the languages, history, sociology, religions, literature, and arts of both Palestinians and Israelis. It delved into complexities instead of trading in platitudes. It was a program that afforded me, a Jewish American student, the opportunity to intern at a Palestinian human rights organization and expose myself to the “other” in an immersive manner. For how else but by stepping outside of our comfort zone and learning about the “other” as fellow human beings on this earth can we ever progress? If today’s student body had its way, such programs would not be permitted to take place in the future. Freedom of academic expression would by stymied. The spigot of knowledge and understanding would be closed. And the student body at Brown would be the worse off for it. Furthermore, anyone who knows the region and Israel in any real manner knows that BDS has a converse, negative impact on the Palestinian population. When you support BDS, you support taking away jobs and livelihoods from people who collaborate in and are employed by functioning business ventures. You take food off Palestinian plates. As outsiders, you act on what you believe are pure principles with no real knowledge or regard for the impact your choices make on the ground. This is a pyrrhic victory for BDS. No actual divestment will occur. As has occurred on every other campus that passed similar resolutions, no university board or administration is ever likely to accede to demands so contrary to academic freedom and so laced with bigoted overtones. Make no mistake. BDS seeks the return of all lands “from the river to the sea,” and ultimately, the eradication of Israel. Its leadership is mixed up with the funding of terrorist-listed organizations such as Hamas. It is not a constructive movement. It does nothing to advance the likelihood of peaceful resolution. Your sole accomplishment has been to tell your fellow Jewish students that they are not as welcomed as they thought. To the Jewish students who now find yourselves in what I know to be an uncomfortable position: let this make you stronger and more resolved to know and do the right thing. It is a tough lesson, and I am so very sorry you must learn it now but so proud of you for knowing who you are at a young age. You have support behind you. You are not alone. And to the Jewish students who supported the BDS resolution: I know how difficult it is to want to be part of the progressive left for which Brown is known and be a Jew who in any way recognizes Israel’s legitimacy. Unfortunately, to do so on many college campuses today, you must trade in your pro-Israel and sometimes your pro-Jew card. I understand that. I sympathize with that plight. I think once you have entered the real world, you will realize how mistaken you have been in trading your identity for membership in a club that does not want you. I say that with great sadness but with full conviction that it is true. I believe you made the easy choice in today’s hostile environment. I hope for your sake and for the sake of Jews past, present, and future, you learn as you mature that life does not have to be an either/or, an all-or-nothing proposition. Any group who asks that of you as the price of admission is not a group you should be seeking to join. I hope with all my heart that the Brown student body rights itself. Brown was the warmest, friendliest, most open and welcoming community I have ever been privileged to join. Please find your roots again and return to the open, intellectually challenging environment I once knew, for your own sake’s and for the sake of the future of a beloved institution. 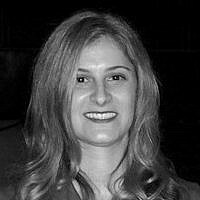 Ellen Ginsberg Simon is an attorney in Baltimore, Maryland and member of Brown University’s Class of 2000. She has an M.Phil in Modern Middle Eastern Studies from Oxford University.